Even though summer doesn’t officially start until June 21st, I think its safe to say that summer is definitely here. Most of us across the country are facing high heat and humidity, which requires an entirely different approach for running than let’s say running in the winter does. Sunday’s long run was far from easy, and although my pace was much slower than it has been lately, I finished and that’s what is most important. Sunday’s 6 mile run was a reminder for me that summer is the time to slow down, focus on hydrating, and most importantly, pace myself. But what about some others tips for running during the summer? 1. Slow down, and don’t worry about pace or finish time. Just focus on getting to the finish line. 2. Take an extra rest day, especially if you’re feeling extra fatigued, your legs hurt, or you’re not mentally into the run. One extra rest day will not be detrimental to your training in the long run. 3. Run on the treadmill. When its too hot or the humidity is too thick to breathe in, take a break from running outside and head for someplace with AC. 4. Hydrate, hydrate, hydrate, and I’m not talking about just drinking water. Make sure that you also refuel your body with electrolytes. 5. Get enough sleep. Your body can’t properly function without enough sleep. 6. Eat a balanced diet in order to ensure you’re getting the nutrients you need. 7. When the going gets tough, remember why you’re a runner. QOTD: What tips do you have for summer running? 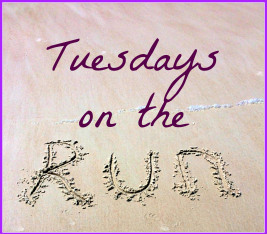 I’m linking up today with Erika from MCM Mama Runs, Patty from My No-Guilt Life, and April from Run the Great Wide Somewhere for the Tuesdays on the Run Linkup. Be sure to check out their posts as well! 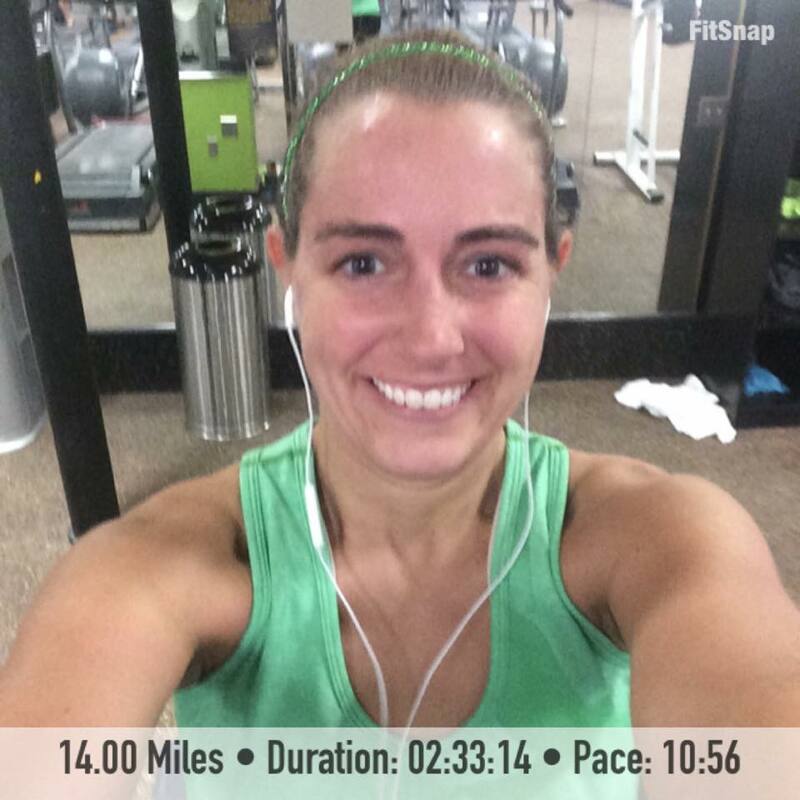 This entry was posted in Training and tagged running, running tips, Tuesdays on the Run. Bookmark the permalink. 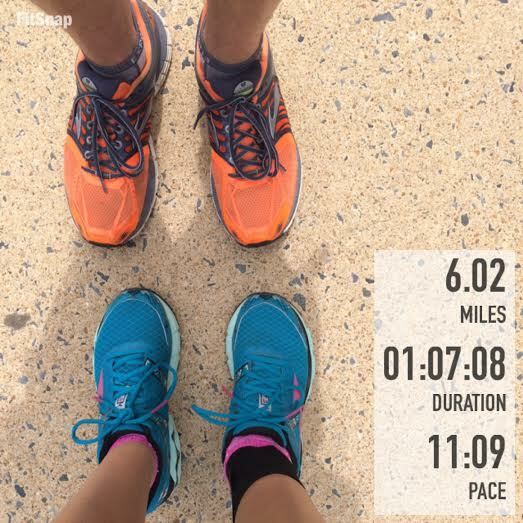 Running in the summer can be just as challenging as the winter! Great tips! I’m so not ready for the awful warmth this week. I’m already dreading my long run – I’m such a warm weather wimp LOL. I’m the opposite. I dread those long runs outside in the freezing cold. Good point – sometimes when the heat is unbearable, it’s best just to go to the gym and hit the treadmill! I’m always so disappointed with my speed during the summer. I feel like every runs get slower and slower in the heat! I like that tip about not worrying about pace or time, which is something I need to remember! I need to be better about remembering it too. The hydration is key, as I discovered a few weeks ago! Now that I’m running again, I need to stock up on Nuun for recovery. Water’s great, but I’m sweating out the electrolytes. I think I might be one of the few people who doesn’t like the taste of Nuun. I like to use a medical grade rehydration powder called DRIP DROP when I am running long in the heat. Good tips! Never heard of it. I’ll have to head to my trusty friend Google to check it out. Great tips! To go along with #3, bring water during short runs as well. Each year I am surprised how quickly dehydrated I get after 3 miles. Yes, you need water no matter the distance. Sunblock! And sunglasses, and maybe even put a wet hat on your head to stay cool. Yes, you always need sunblock. I love running when it’s hot out. But whenever it gets to be too much I am fortunate to be able to take my run inside on the treadmill. I don’t mind it. I get caught up on some Netflix shows. I don’t mind it either. I agree with you. When temps or conditions are ridiculous, there is no shame at all to take it to the mill. The electrolytes are so important. I’ve had so many moms in our MRTT group say they only drink water and nothing else during the warm summer months!! Great tips. I tend to forget about extra attention to sleep and nutrition. Me too, especially when there’s so many exciting things going on. Super lightweight wicking clothing is my friend in the summer and jumping into a pool after a run is always helpful for a quick cool down. I wish I had a pool to jump into after a run! Excellent tips Kathryn! I have to remind myself every summer to slow down! Yes to slowing down…but it is so hard! I am comparing my times to other times when I know the reason I’m slower is because of the heat. I also would recommend salt pills to those who sweat a lot like I do! Great tips, as always, but…MAN do I HAAAAAATE running in the summer! I avoid the treadmill like the plague, so like you said, I basically just make it a goal to get the miles done and not obsess too much over pace. Awesome tips! Definitely need to remember these! I think it gets up to 80 degrees by 8am here! mine is know your limit. a treadmill run or two won’t kill you but a heat stroke might! For summer running: wear sunglasses, sunblock and bring your water with you!